Hunters are often faced with ethical dilemmas. While hunting in Texas, one hunter made a wrong turn when faced with temptation and it cost him more than he ever imagined. 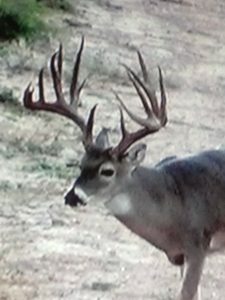 South Texas is unique in deer hunting in that large ranches are managed for producing big whitetail bucks through carefully regulated harvests of mature deer, culling of deer and feeding of protein and minerals. Many ranches have their own set of laws and rules regarding deer hunting that go above and beyond the laws set by the state wildlife authorities. Jim Stinson holds one of the 10,000-acre leases on the 130,000-acre Duval County Ranch, and he subleases it to 8-9 other dedicated big buck hunters who pay $10,000 each per year for the right to hunt on the lease. They also participate in the feeding and care of the deer, which includes predator control, culling inferior bucks and keeping the water flowing so the deer have plenty to eat and drink during the area’s notoriously hot seasons. One of the hunters who enjoyed the fantastic hunting privileges on this lease was Jim’s friend Skip Weiner of Boise Idaho. Skip had been hunting there for nearly a decade. Bucks are allowed to reach the age of at least five or six before they are shot so they have a chance to reach their full potential. The hard work and restraint paid off well, as many dandy bucks were shot each year, and there was always the hope that one of them would blow up into a real giant. That’s exactly what happened. 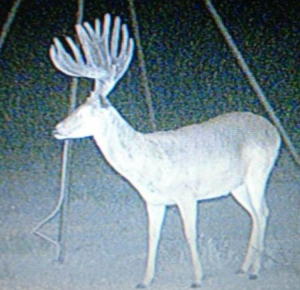 A buck they knew to be only three years old had an outsized, jaw-dropping rack. In fact it was as big as anything they had ever shot on the ranch, and it had three more years to grow. There was a lot of excitement as the buck turned four years old. This is the age when whitetail bucks normally take a big jump in antler size because their body mass has completed its growth and the deer can put its full energy into growing a rack. They were not disappointed. The buck was a true giant at four years old. The hunters spent considerable time analyzing video and photos of the buck; they determined that the deer would score over 200 inches at four, and was certainly not done growing yet. Clearly this was a deer with world class potential. They named the buck “Superbuck” and it was on everyone’s mind all season long. The buck was quite predictable and visible, which is unusual for a giant like this, but then he was only four years old, still young and naïve. He was seen several times that fall in an area of the ranch where they had protein and corn feeders. Normally the buck would be off limits until it was six years old, but a pact was made among the hunters that the buck would be allowed to live out its natural life and spread its genes into the gene pool for as long as it lived. This was a very difficult decision, but it was subject to change if they determined that the buck would be a world record at age six. They might decide to cash in the chips. The ranch’s management policy requires that the trophy bucks are shot after the rut, so the hunters cannot kill the big bucks until the end of December through the end of season the middle of January. This strict policy is heavily enforced. All bucks shot must be checked in at the ranch headquarters where they are weighed, aged, scored and recorded. Taking a buck off the ranch without going through the check in is illegal. Most of the hunting was done on the weekends. In January, most all the hunters are in camp on the lease, hunting hard to kill one trophy and one cull buck (Texas allows two buck tags per season). At the end of the weekend in question, everyone packed up to head home for a work of week with plans to come back again the next weekend. Except Skip Weiner, who didn’t actually leave. He went hunting. After a few weeks, it became clear that Superbuck was missing. Spring came and the bucks were growing their antlers but Superbuck was nowhere to be found. Could he have moved to another area of the ranch? Could he have been dragged down by coyotes? Jim had his suspicions, and he shared them with wildlife authorities. Because Jim suspected that the buck was in Idaho, the Texas Parks and Wildlife was limited in what they could do. So Jim hired a private investigator. The PI spent some time following up on leads, checking with taxidermists and observing behavior. He paid particular attention to Weiner who was at the top of the list of suspects if Superbuck had been illegally killed. Weiner flew down to Texas, collected all his belongings from deer camp and drove them back to Boise, a move which Jim thought was odd since Skip had been such an avid hunter on the lease for so many years. He felt his suspicions were being confirmed. Then the private investigator go t a break. Skip’s house was listed for sale. Posing as a potential home buyer, the PI went to have a look around. Imagine the shocked look on his face when his gaze landed right above the fireplace, where Superbuck’s mount hung for all to see. It was time to get the feds involved. There is a long list of violations involved above and beyond not tagging and checking in a deer, including a violation of the Lacey act which imposes strict penalties for taking an illegal game animal across state lines. Federal authorities have no sense of humor when it comes to this type of thing. Armed with a search warrant, federal game wardens entered Skip Weiner’s house on Christmas Eve, and confiscated the buck. 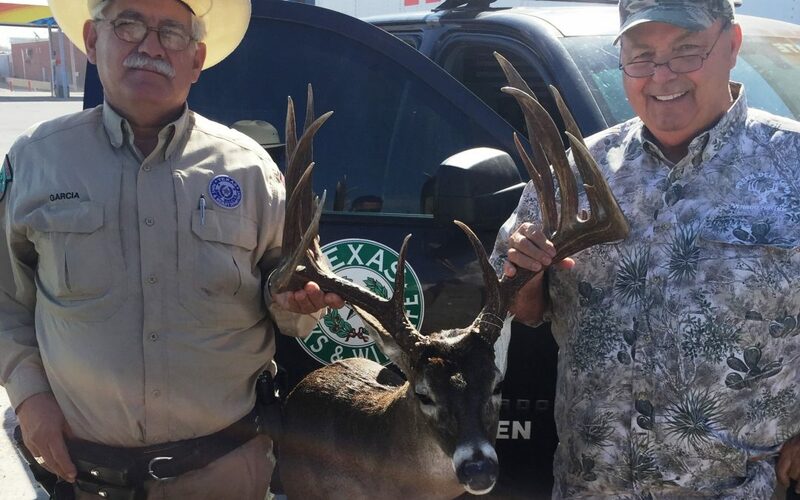 The mount is now back in the hands of Texas Parks and Wildlife law enforcement while the case works its way through the court system. All parties are innocent until proven guilty, of course. The mount is expected to be a part of the TP&W travelling poaching exhibit. 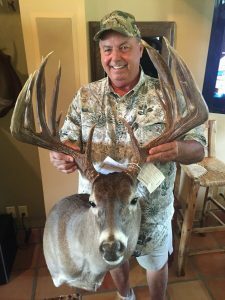 Holding Superbuck’s rack for the first time was bittersweet for Jim Stinson. Bitter because the life of a world class buck was cut short and he was not allowed to reach his full potential, but sweet because a wrong has been righted, in a way. Jim, like all of us, hates to see poachers get away with it. The silver lining on this cloud according to Jim, is that misdeeds have consequences, and with a sense of righteous indignation, he will do whatever he can to see that the consequences are administered. I don’t hunt on leases like this so some of this article confused me. I understand that a hunting group or club can make more stringent rules for it’s members, but I didn’t know that those stricter rules became law and enforceable by federal and/or state authorities. Is that what this article is stating? 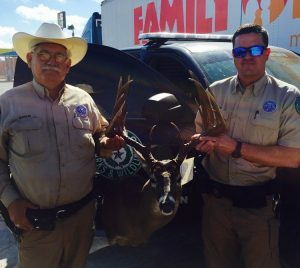 Was it just that the deer wasn’t properly checked in the state of Texas? The Texas parks and wildlife works closely with the owners/managers of these properties. All deer shot on these properties must be checked in where they are weighed, aged and scored by a state-certified property manager. It is illegal to bypass this process. The big issue to start with is the violation of trust with all the other hunters in the group. Just short of hanging they should throw the book at this guy! I was on board ship when I served in the military and the lowest class of individual was the one stealing hello Bernie from the other sailors and I believe you could put this in the same bracket. Needless to say everyone despises thievery and among most hunters who have a code of ethics it is particularly bad. It’s not a common name so there could be a relation somewhere in the distant past. Most of my family tree was on the east coast until the mid 1800s when they came to Wisconsin. From Wisconsin, Lyman Barringer walked to northwest Iowa and settled at Lost Island lake. (The town was moved south from Lost Island and Named Ruthven when the railroad came through.) He was quite the entrepreneur and he kept journals, there is quite a bit online about him. His brothers followed him and they were important citizens in that area and many of their descendants farmed there until the late 1900’s. My dad is one of them. I do know of some Barringers in Texas. I met one guy (Darwin Barringer) who told me that he has Daniel Boone in his ancestry and I do too, so we are probably connected somewhere down the line. The deer wasn’t checked in is the legal issue, if he were to check the deer in the owner stated he would have ran skip off the lease but legally couldn’t have done anything if he would have just checked the deer in.